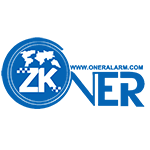 Oner is a GPS tracker manufacturer with over 11 years of experience in the industry. "We always focus on true demands of clients in type of industry, and provide different tracking solutions. For example: GPS speed governor to reduce speeding crash; Compulsory driver identify by RFID to reduce bad driving; GPS tracker with Bluetooth for more effective fleet management." The chart below shows the changes within the last 30 days in the number units of Oner devices type are connected to Wialon Data Center.